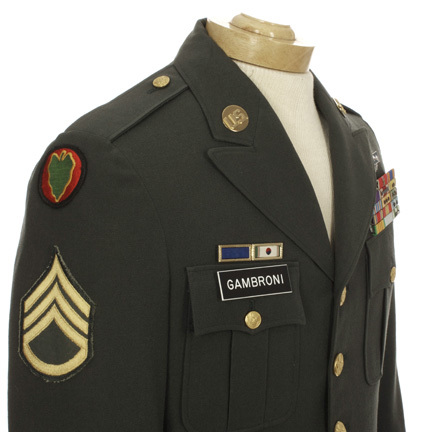 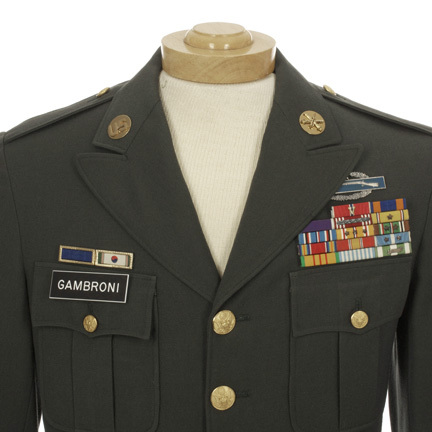 This military jacket was worn by the character "Shannon Gambroni," portrayed by actor Tony Curtis, in the 1970 motion picture, "Suppose They Gave a War and Nobody Came?" 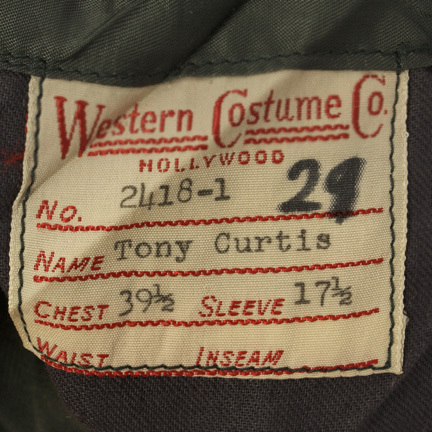 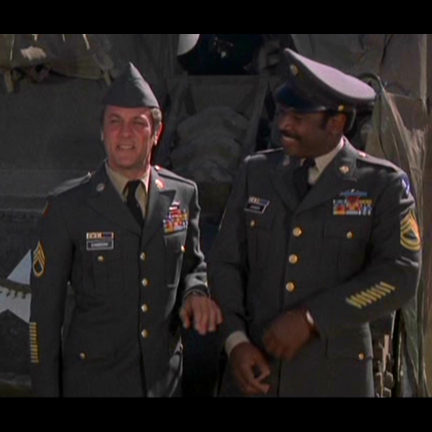 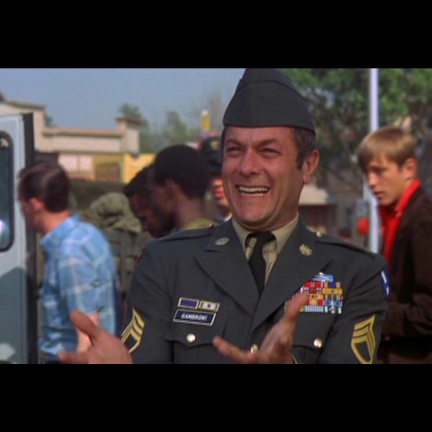 The U.S. Army military jacket has the original Western Costume Company label sewn inside with the name "Tony Curtis" clearly typed. 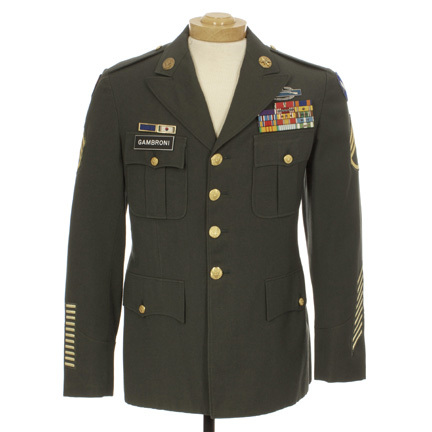 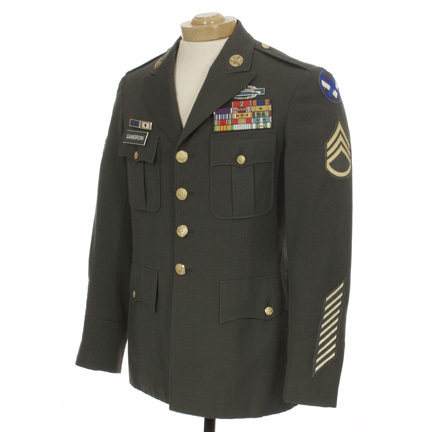 The cuffs of the jacket were modified for use on a later production and comes complete with professionally restored military patches and insignia identical to those seen in the film. 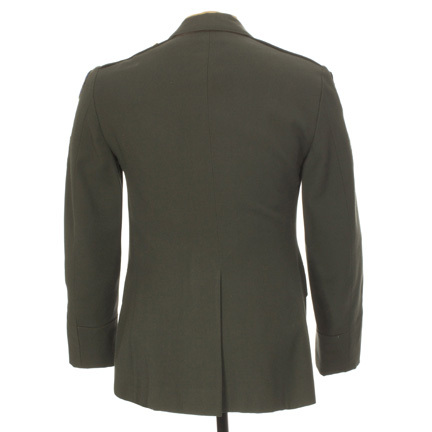 Mr. Curtis wore this jacket in numerous scenes throughout the film. 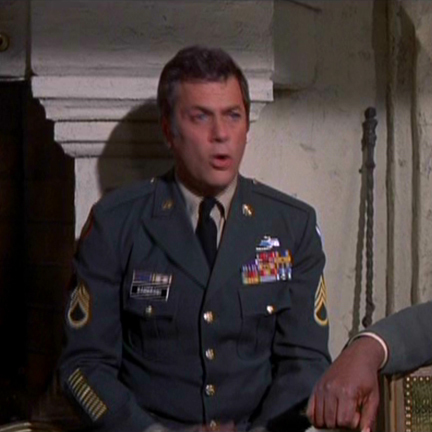 "Captain Newman, M.D.," features Tony Curtis, Brian Keith, Don Ameche, and Pamela Britton.